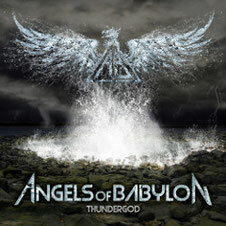 Angels Of Babylon will release thier long-awaited second album "THUNDERGOD" through Scarlet Records on June 18th. The band was founded by Kenny "Rhino" Earl (former MANOWAR drummer) in 2008, Angels Of Babylon released their debut album "Kingdom Of Evil" in 2010, which featured another heavy metal legend Dave Ellefson (of Megadeth fame) on bass guitar. 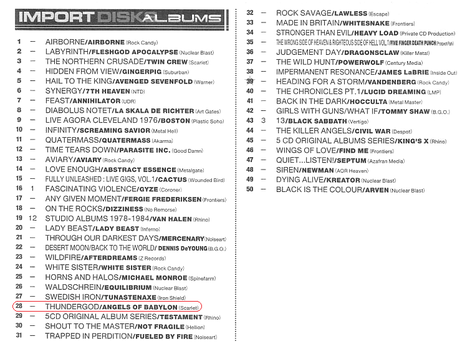 "Thundergod" is a timeless piece of work that any real heavy metal fan will treasure for many years to come as a collection of epic, melodic and heavy songs that will inspire and arouse the imagination.